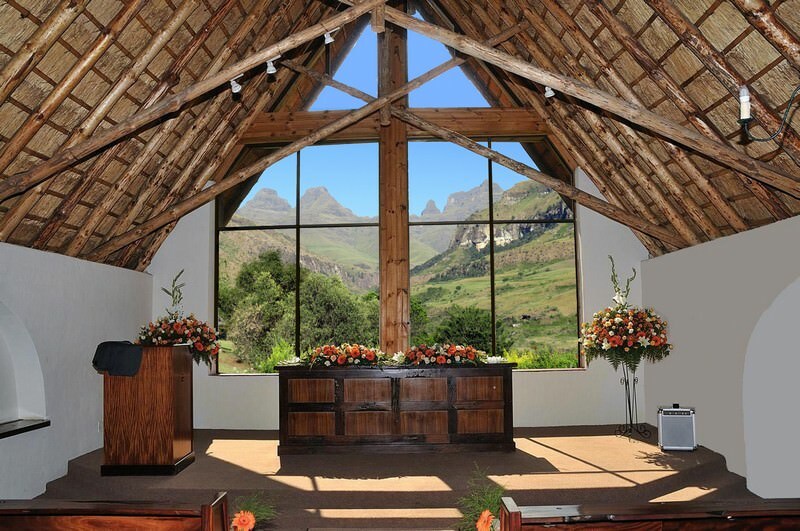 Cathedral Peak Hotel trundles across the slopes of the Drakensberg Mountains. 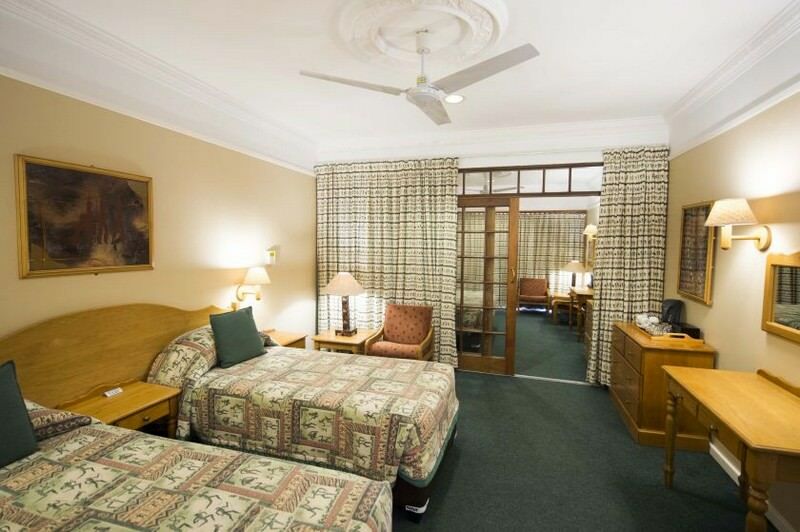 Opened to its first guests in the 1930's, the Cathedral Peak Hotel still maintains its tradition of warm hospitality, good service and value for money. 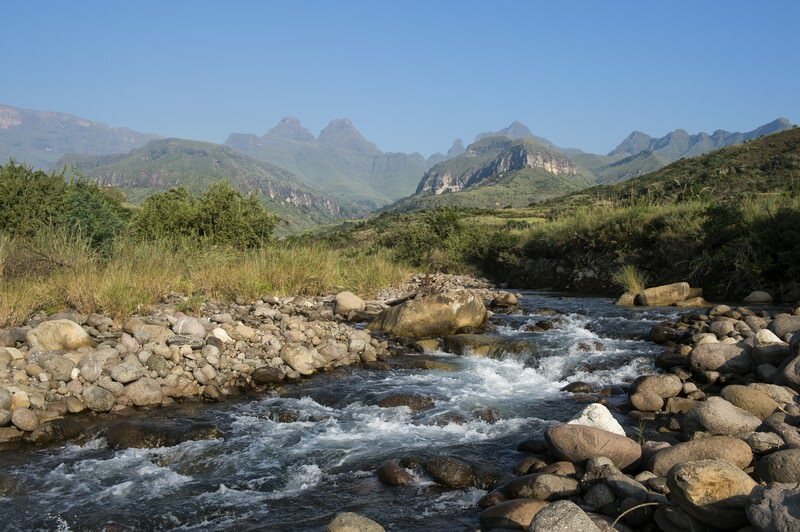 The hotel is surrounded by the majestic Drakensberg Mountains, offering panoramic views of the rolling landscape from its seat in the beautiful Mlambonja River Valley. 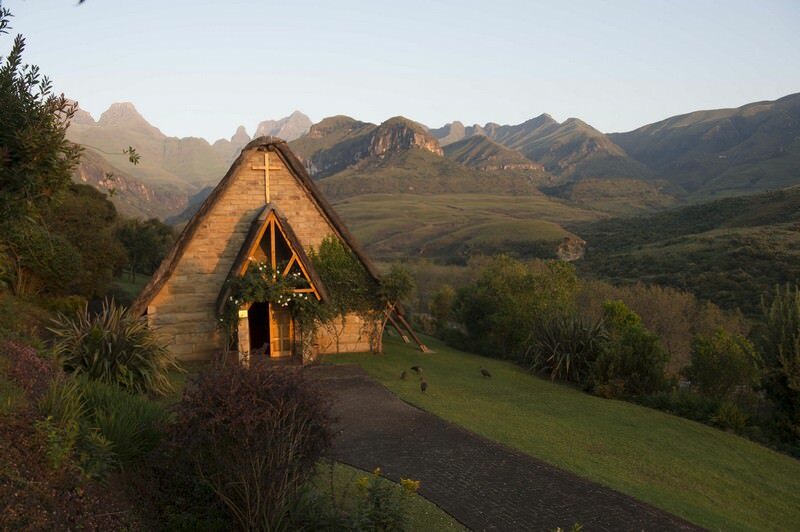 This breathtaking location provides an otherworldly escape on a tour of South Africa's most prominent mountains. 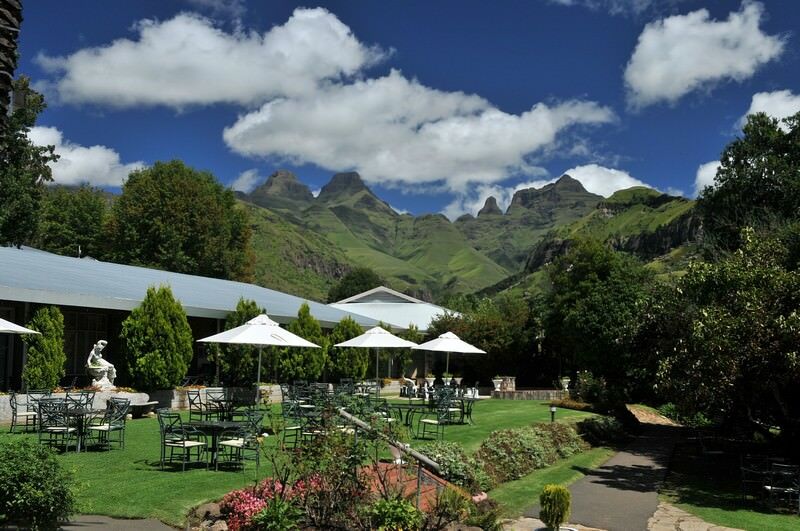 A wide variety of accommodation types are available at the Cathedral Peak Hotel. 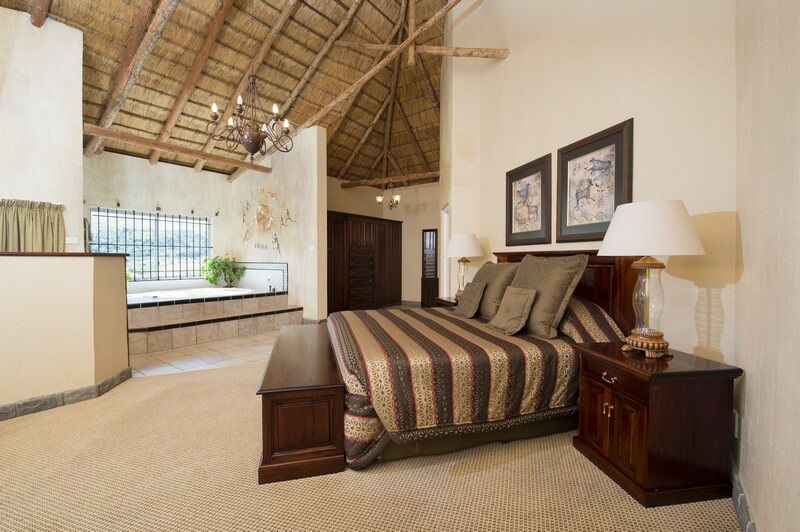 All the standard, deluxe, executive rooms and presidential suite are en suite. Some of the deluxe rooms are inter-leading, which means that children have close access to their parents. 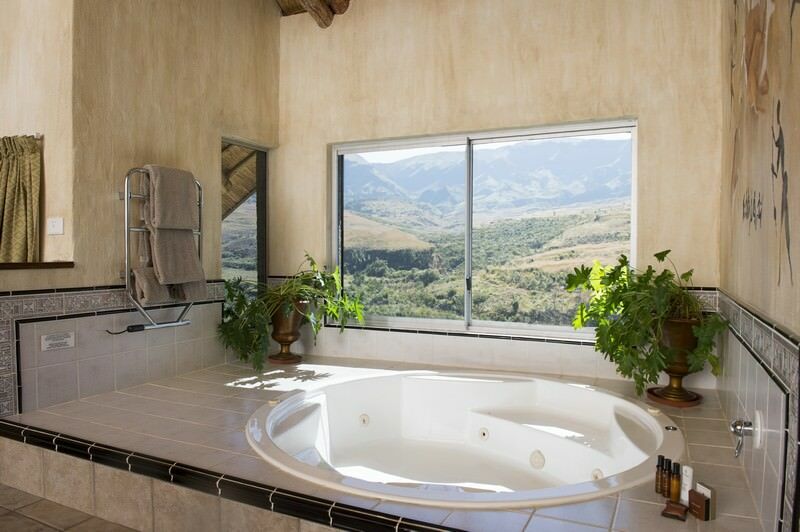 The Mponjwane Presidential Suite has a fireplace, under-floor heating, a steam bath, spa bath, and electric curtains which open onto a private verandah with mountain views. 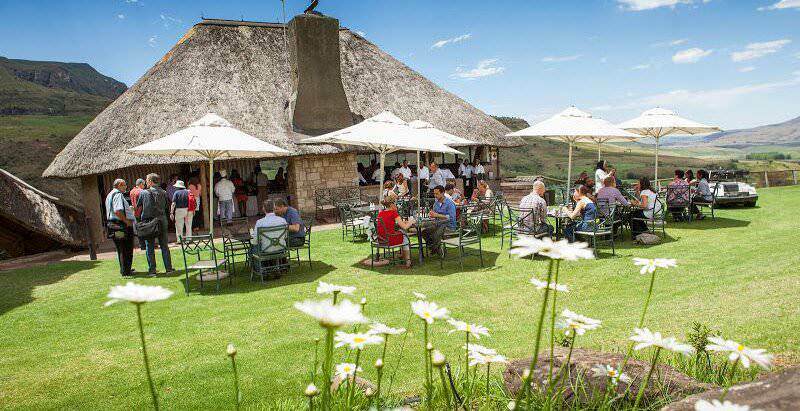 The hotel hosts a dining room which serves superb buffet-style meals and a separate children's dining area where youngsters are entertained while enjoying their meals. A fully-equipped gym with a spa bath and beauty therapist is also available. Guests can explore the striking mountainous terrain on guided hikes. There are three bird hides in the area, with around 121 species to be spotted. 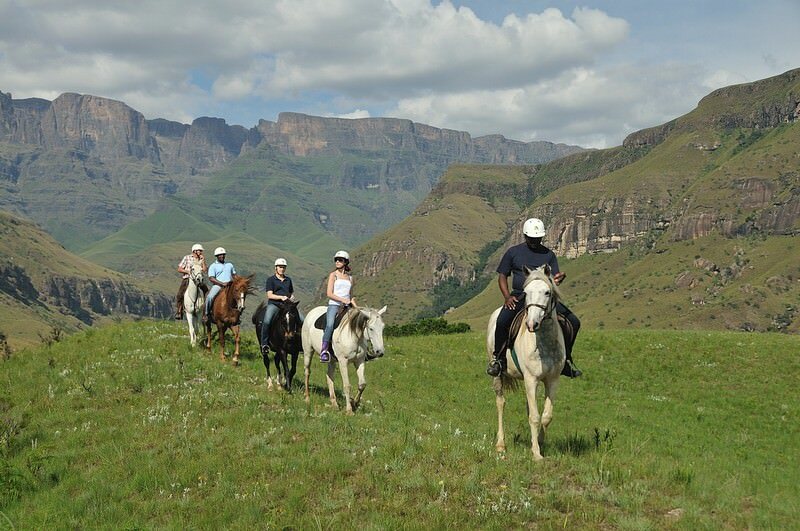 Horseback riding through the countryside is another popular outdoor activity. For a bird's eye view of the breathtaking mountains, helicopter flights are available on request. 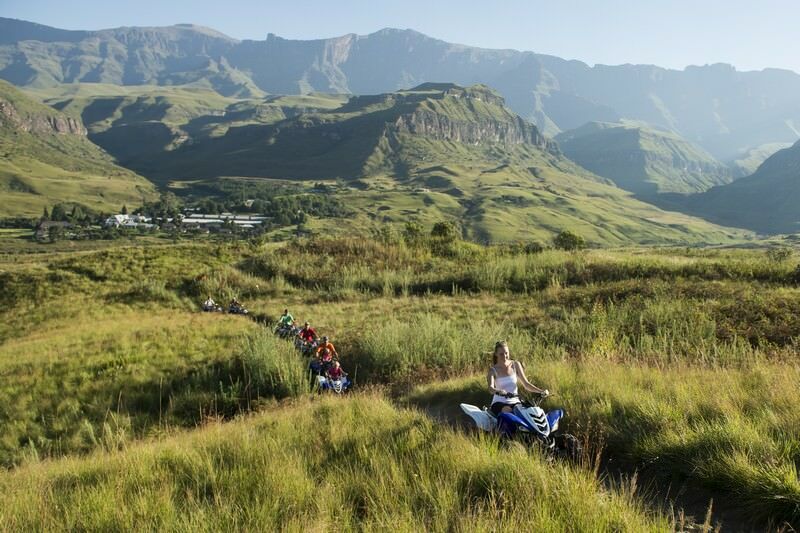 Cathedral Peak Hotel, you are bound to have an unforgettable Drakensberg tour experience, whatever your interests. I first stayed at the Cathedral Peak Hotel about twelve years ago, and on a number of occasions since then. 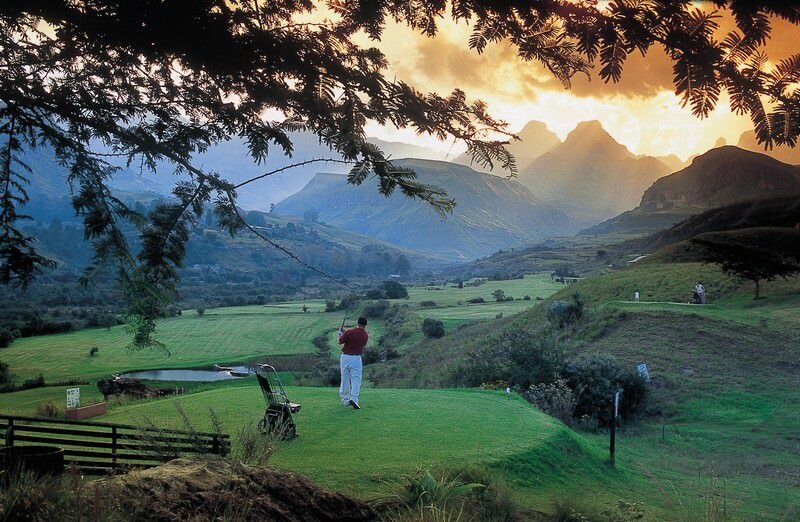 The setting of this hotel, with the Drakensberg as a backdrop, is grand and imposing. The hotel offers a host of activities and is ideal for families traveling with children. The rooms are comfortable, the food well-prepared and the service friendly. 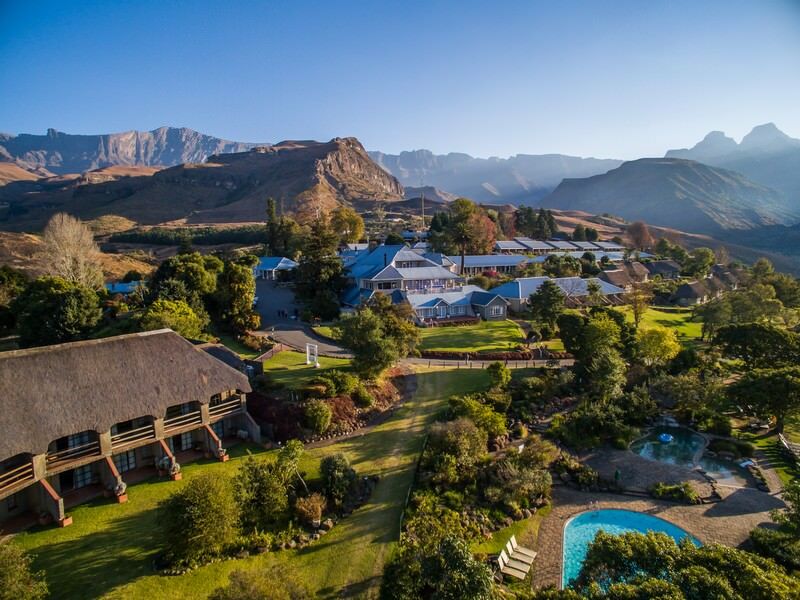 It is not a luxurious hotel, but offers some of the best accommodation available for travel to the northern Drakensberg. South Africa is famous for its remarkable diversity, from wildlife to culture. Botswana's safari areas include Chobe, Linyanti, the Okavango Delta & Savute. Namibia is known for its unique travel destinations and desert-based activities. Zambia is flush with remote and barely touched safari areas like Kafue. Zimbabwe's perspective of the Victoria Falls is heart-stoppingly beautiful. Mozambique's archipelagos offer a fine combination of leisure and adventure. The Kruger National Park is South Africa's top safari destination, boasting an extraordinary 147 species of mammal. The Sabi Sand - a 65 000-hectare private game reserve - is South Africa's premier Big Five safari destination. Cape Town is South Africa's top tour destination, offering a wide range of activities for discerning travelers. The Garden Route is home to wild beaches, ancient forests, glimmering freshwater lakes and ample opportunities for adventure.